Coffee and pastries in the park of the Chateau. Discover the Loire Valley and visit its 2 most prestigious castles in one great day: impressive Château de Chambord and stunning Château de Chenonceau. Learn about the intimate little secrets of the French Kings who once lived there. Enjoy off-the-crowd panoramic views thanks to your local guide, benefit from wealth of thrilling genuine details and funny anecdotes and make the most of this exciting day. 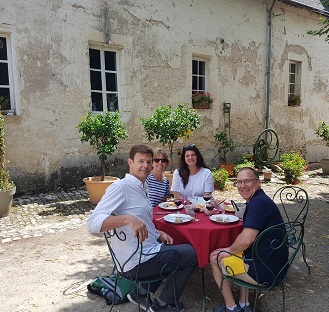 One of the highlights will definitely be a restful lunch away from tourist groups in a beautiful privately-owned chateau still inhabited by the family. 9.00 am: Departure from Tours. Meet your friendly guide in front of the Tourist Office in the city of Tours (just in front of the train station). 9.30 am: Departure from Amboise. Your guide comes to pick-you up with the minibus in front of the Tourist office of Amboise. 9:00 am: Start in front of the Tourist Office in the city of Tours, and get into our minivan, off to Chambord! 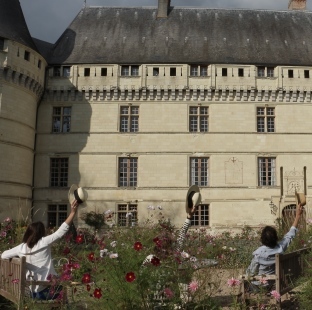 More than a chateau, this work of art is a glorious historical place that will take you to the heart of the Loire Valley and the Renaissance era. Your guide will make this trip back in time a fun and captivating experience. He will tell you everything about the history of the castle, built by the famous King François 1er. Start with a French breakfast in the park of Château de Chambord. Enjoy hot coffee and a croissant with the château right in front of your eyes... Unforgettable! Once inside, your guide will select for you the most emblematic rooms to visit: the double helix straircase, the chapel, the terrace...He will also share with you memorable anecdotes and point at hidden details of interest and breathtaking views of the château. So get ready to travel back in time of French Renaissance! Lunch will take place off the beaten path. You will enjoy a typical French lunch in a lovely private château of Loire Valley, built by Jean le Breton! Start with the visit of this unique familly Château, meet the family and discover all the authentic rooms and lovely surroundings of this haven of piece. 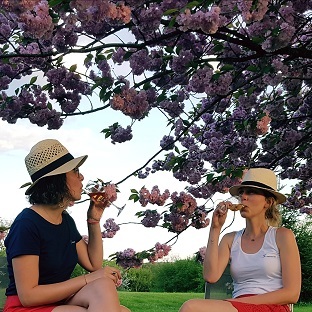 After the visit, hosted by the French Countess who lives there permanently, indulge in the nice and cozy atmosphere with tasty food and local Loire Valley wine. This experience will make you feel like the owner of the place! Chenonceau: this is the most visited historical monument in France after Château de Versailles. Admire this stunning chateau and its unique gallery, built on a bridge across the Cher River. 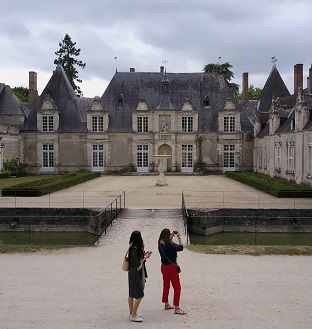 With your guide, stroll through the gorgeously-manicured gardens à la Française named after the famous ladies who lived there: "Catherine de Médicis" and "Diane de Poitiers". Once inside, take your time to appreciate the refined architecture and feminine influence that prevails in each room of this renowned chateau, all decorated with beautiful antiques and the most divine fresh flower arrangements. The kitchens, the Queen bedroom, the Gallery... your tour guide will show you all the beautiful rooms of this incredible place. 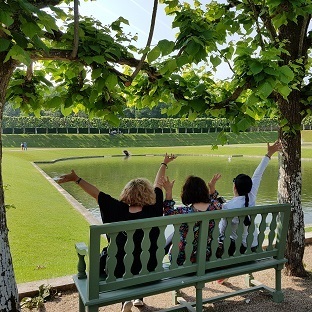 After this exceptional visit, your tour-guide will offer you to share a delightful aperitif with local products in a secret spot, with the most striking view of château de Chenonceau. A spectacular day you will never forget. 6.30 pm: Back to the Tourist Office in Amboise. 7.00 pm: Back to the Tourist Office in Tours. A minimum of 2 participants is required for a tour. 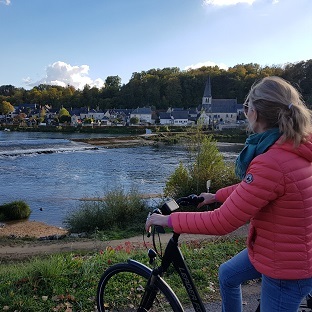 If only 1 person is booked on a tour, A la française - Loire Valley will contact the customer (phone or email) to reschedule or refund the total amount.